A pharmaceutical company has recalled blood pressure medication after detecting traces of a cancer-causing chemical. 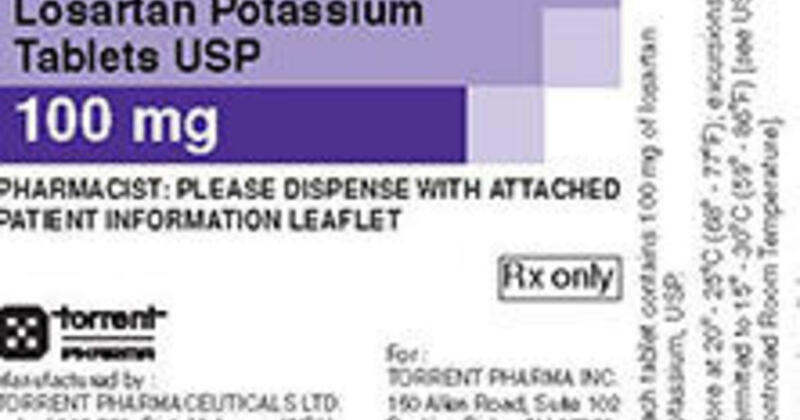 The Food and Drug Administration announced that Torrent Pharmaceuticals Limited voluntarily withdrew two losartan potassium tablets. The FDA said the products contain traces of N-nitrosodiethylamine (NDEA), a substance found in certain foods, drinking water, air pollution and industrial processes, and has been classified as a probable human carcinogen. 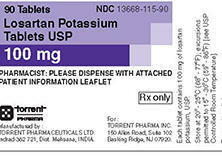 "Losartan is used to treat high blood pressure (hypertension)." According to the Mayo Clinic, hypertension "can damage the blood vessels of the brain, heart and kidneys and lead to stroke, heart failure or kidney failure." The FDA said that Patients who are on losartan should continue taking their medication as the immediate interruption of treatment may be detrimental.The FDA recommended that patients contact their pharmacist or physician for a possible alternative treatment. For more information about the recalled medicines, visit the FDA website.